Cathy Isom began her series on apple trees yesterday with choosing the right apple tree to grow. 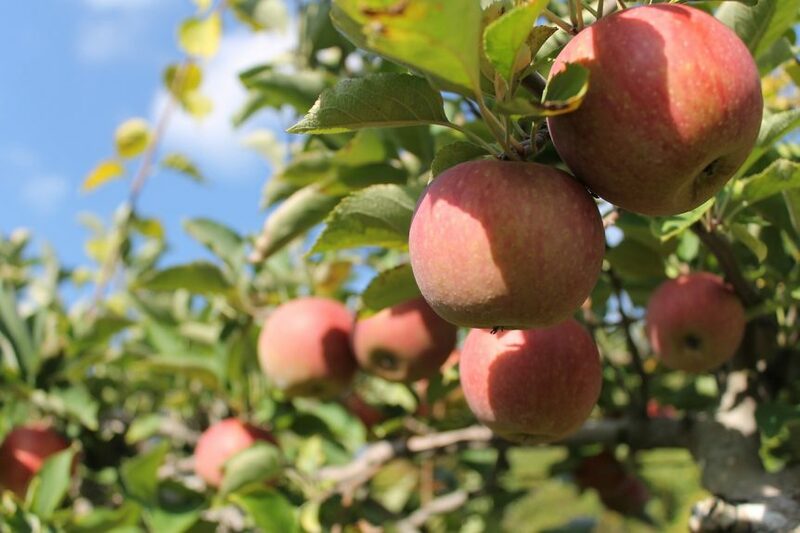 She continues by giving you tips about the best way to plant and care for your very own apple trees. That’s coming up on This Land of Ours. planting spot of weeds and grass. The tree should have two to three feet of vacant space all the way around it. When digging the hole, it should be twice as wide as the root ball and a couple feet deep. The loose soil should be added back to create the right depth for the base of the tree to be just above ground level. When refilling the hole with the tree in it, the soil should be firmly pressed eliminating all air pockets that might be around the roots. Watering the tree will also help to eliminate air pockets. Finally, the tree should be mulched with a thick layer, about four to six inches, of leaves or straw. 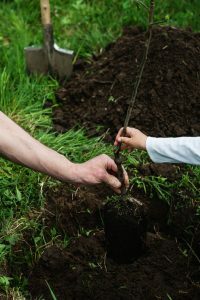 Taking care of young trees is not that difficult, but they need to be trained so that they grow to be more productive. Young trees should be pruned minimally, mostly removing dead, diseased and broken branches, and always during dormancy.